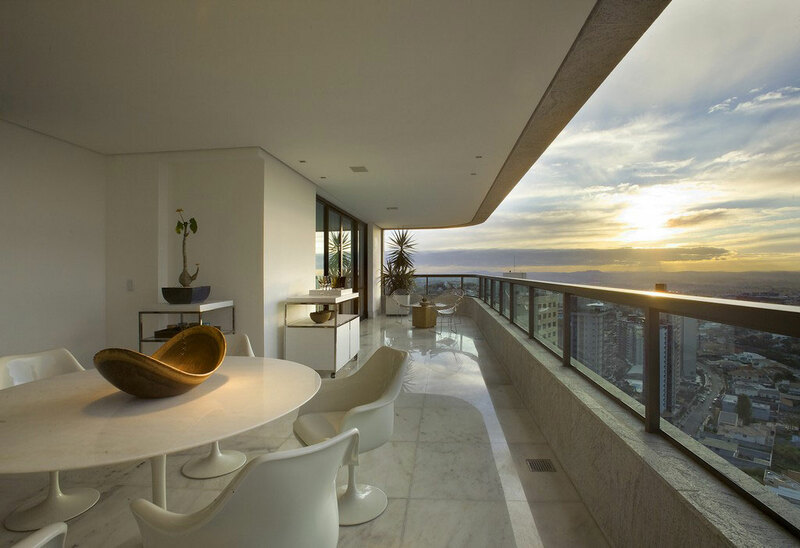 Belvedere Apartment designed by David Guerra Architecture is located in Belo Horizonte, Minas Gerais, Brazil. From the apartment has stunning overviews the city. An interior brimming with elegance and sophistication.